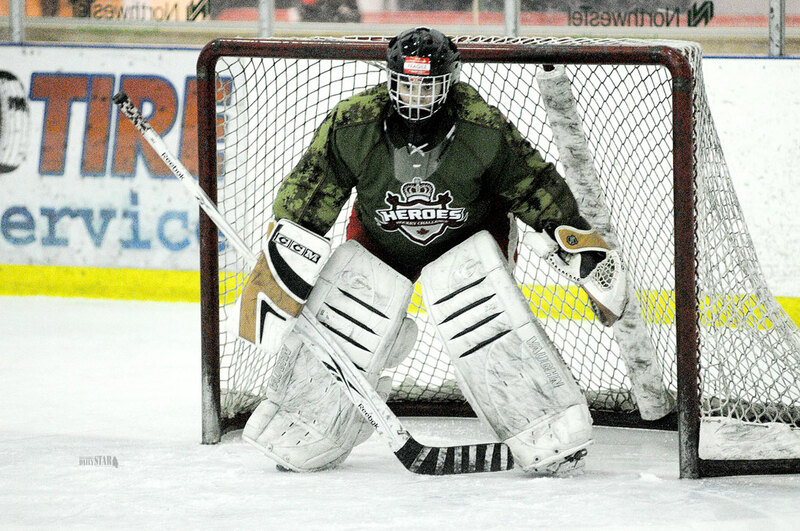 BREAKING BARRIERS – Chase Blodgett, pictured playing goal for the first time in last season’s Whitehorse Women’s Hockey Association championship final, is in the process of transitioning from female to male. The Whitehorse Women’s Hockey Association (WWHA) has drafted a board policy allowing transgendered players to play in the league. Members of the board met Wednesday to discuss the issue and published a post explaining the new policy on the league’s Facebook page this morning. “Whitehorse Women’s Hockey Association welcomes any player who is born as or who identifies as a woman,” board member Michelle Rabeau told the Star. Rabeau said the board did some research on the issue, looking at other women’s leagues in Canada, but ultimately, the decision was simple. The majority of policies the board discovered viewed players by the gender issued on their current government ID, Rabeau noted. “There have been, and there is the potential for more, transgendered players in our league,” Rabeau explained of the decision to pen a policy. Rabeau said the board met to discuss responses to potential concerns from their membership. Potential concerns include dressing room dynamics and the issue of men playing women’s hockey. Going forward, players with concerns about dressing room policy are invited to speak with a board member, while any perceived competitive advantages are not an issue in the recreational league, according to the WWHA board’s Facebook post. Chase Blodgett, 29, is in the process of transitioning from female to male, announcing the change via his personal YouTube channel three months ago. Blodgett is the team captain and goaltender of the Burnt Toast Fireballs, who lead the women’s hockey league with a 16-1-1 record. According to the WWHA website, Blodgett has the league’s best GAA at 1.53 and is 13-0-1 when between the pipes this season. Blodgett said prior to coming out, one of his biggest fears was exclusion from the hockey league. “That’s my community,” he said in a sit-down interview yesterday. Blodgett came out to his teammates before the start of their first game of the season – a nerve-racking experience. Blodgett was born in Peterborough, Ont., and moved to the Yukon a few years ago to teach in the communities. Blodgett has now been taking male hormones for three weeks. Additionally, he is on a wait list to have “top” surgery, but admits he may never have “bottom” surgery. The WWHA board’s decision is precedent-setting, Blodgett said. Interesting how they made this a "transgender" issues; in-fact it is not - "transgender is the vehicle of their own personal discovery" - most importantly then anything is their own personal evolution of gender, and how sport just like society must change how we play the game; and not the athletes. Fascinating as we know so much more then most; but how this was conceived as a piece on inclusion, when in-fact it was their own self-discovery and that these women should be applauded for. It isn't a transgender issue at all.